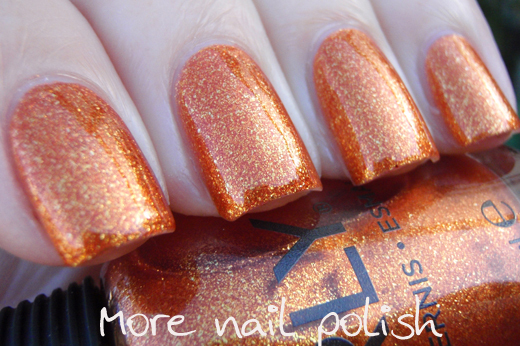 I have two polishes from the new Orly Secret Society Collection to share with you today. The collection has six polishes in a rich palette and a variety of finishes. The red polish is a creme, the blue and gold ones are glitters and the others are shimmers. 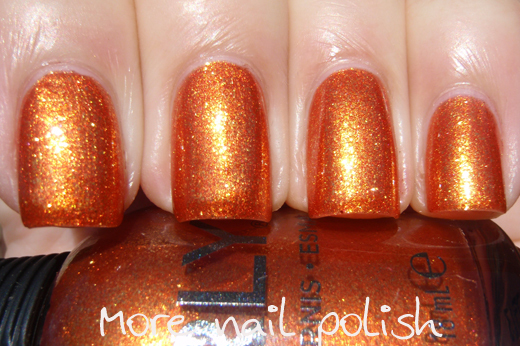 What's the Password - a burnt orange with a golden shimmer. The gold shimmer is actually quite chunky and almost glass fleck like. It's very shiny and metallic looking in the sun and it still looks gorgeous indoors too. The formula was thick and nice to apply. I used two coats plus Seche Vite top coat. for these pictures. 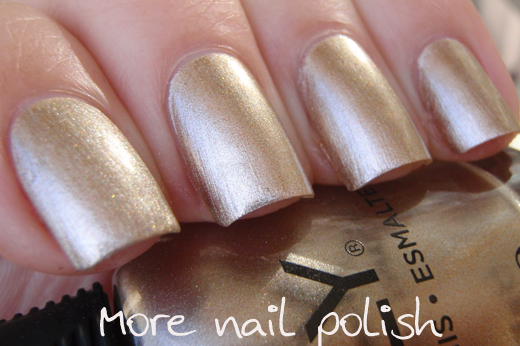 Voyeuristic Adventure - A pale champagne taupe coloured foil polish. 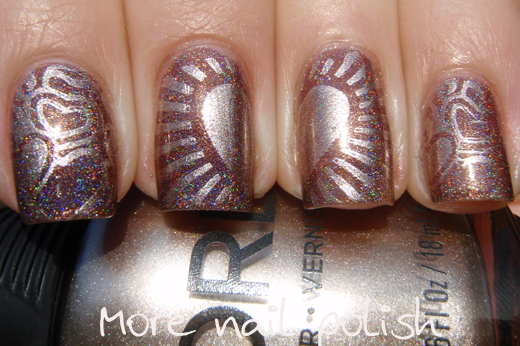 This one really reminds me of one of my favourite Orly collections - the Foil FX Collection from 2010. This shade is in between Rage and Shine, in other words its a very pale pinky beige that leans silver. It can be a little brush stroky if you are not careful with your application (like on my index finger), or if you are more careful (like my other fingers) then the brush strokes aren't very noticeable at all. Formula was thin and easy to apply and it's nearly a one coater. This is two coats with Seche Vite top coat. 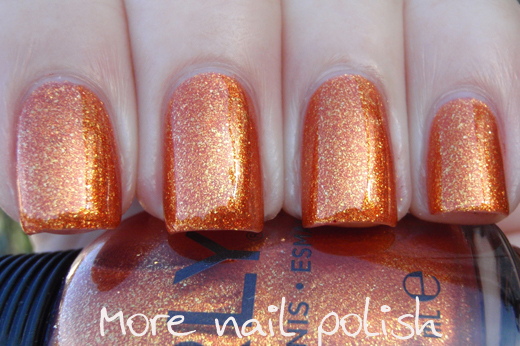 This is such a 'me' colour - I love it! Because it was quite opaque, I thought I would test it out for stamping. It worked very well. I stamped with my new PUEEN plates over Emily de Molly Gound Control (swaches to come). I really like these polishes and the look of some of the others in the collection. I'm looking forward to seeing swatches of Masked Ceremony, which is described as a charcoal with a holographic shimmer! 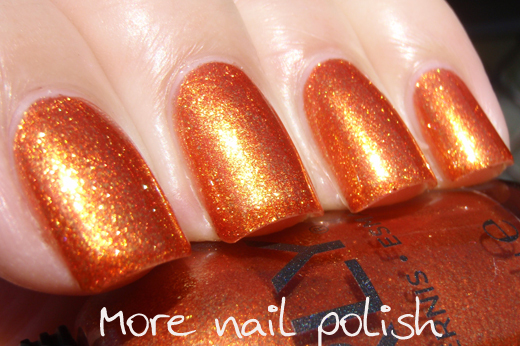 The the Orly Secret Societ Collection will be available in store in Australia in July and retail for $18.95. Check www.orlybeauty.com.au for stockists. You have such amazing nail art! You should start posting your pictures on Bellashoot.com. It is a social beauty network for beauty lovers around the world. You are going to love it! Gorgeous! 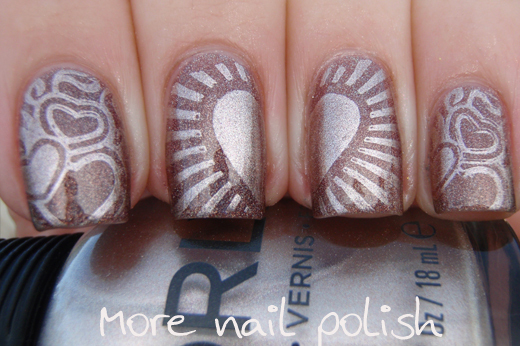 That stamping mani is fabulous! Fab post! I've been trying to get hold of: Orly Nail Repair 'Nail Rescue kit, but can't find it anywhere :( any ideas?